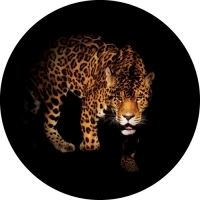 Spare Wheel Covers with Nature, Animals and Scenic designs. 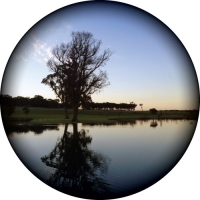 Everything from dogs, horses and landscape designs on your spare tyre cover. Can't see what you need? Ask about our custom wheel covers. 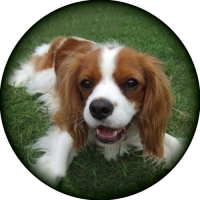 Cute and cuddly Cavalier King Charles photo. 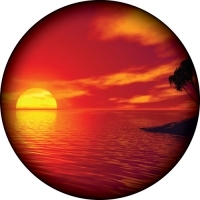 Awesome photo of ocean and sky at sunset showing the amazing colours of nature. 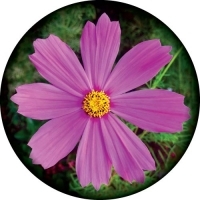 A perfect Daisy on your spare wheel cover! 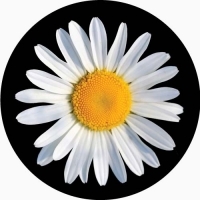 A striking image of a perfect white daisy flower that covers your entire spare wheel. A striking image for travellers behind you. For the horse lover. 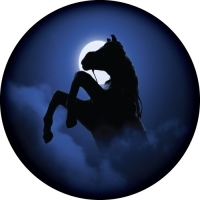 An eyecatching design of a silhouette stallion in the moonlight. Brighten up your day with this bold and colourful wheel cover design. Scenic photo of a farm windmill with cattle and hay bales in the distance. 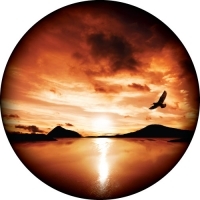 Beautiful Sunset photo with a bird flying free in the sky. 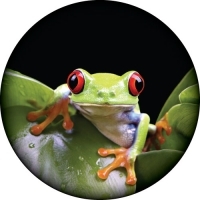 High quality photo of a Red Eyed Tree Frog on your spare wheel cover! Sure to catch the eye. This fella sticks to your wheel cover. 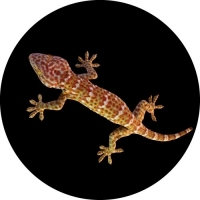 A colourful Gecko photo on a black background. 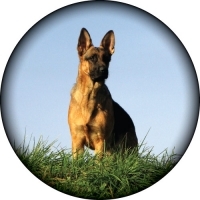 German Shepherd dog wheel cover. 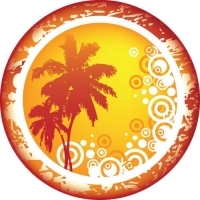 A bright and peaceful cover design of a golden sunset and palm tree. A fantasy tropic scene that will catch the eye of travellers. Stunning blues and greens in this image of a Hummingbird in mid-flight. An Aussie Icon! 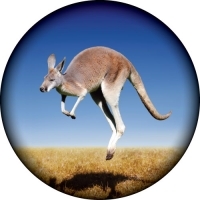 A high quality photo of Australian Red Kangaroo, printed on your spare wheel cover. 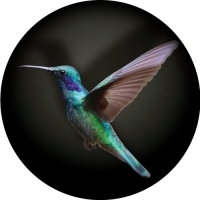 Your wheel cover will be made from the highest quality vinyls and printed with long lasting UV resistant inks. Piping comes standard in either black or white, for a stronger and better fitting wheel cover. The spare wheel covers are custom made to suit your tyre for a perfect fit, simply tell us your tyre code when ordering. 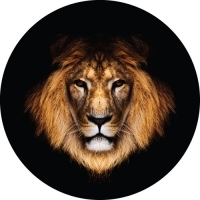 High Quality Lion photo. Big and bold, for the lion lover. Peaceful and relaxing. 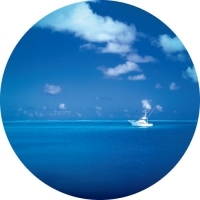 A perfect setting of a beautiful blue Morning Ocean printed on your spare tyre cover. Peaceful and free. 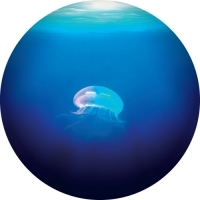 A beautiful photo of Jelly Fish floating freely through the ocean. Spare Wheel Cover - Sized to Suit! 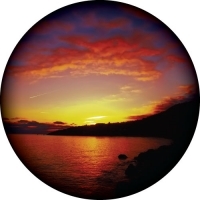 A beautiful and peaceful image of a tropical sunset on your custom sized spare wheel cover. 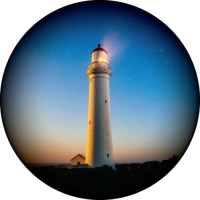 Our custom spare wheel covers are made from the highest quality vinyls and printed with long lasting UV resistant inks. Piping comes standard in either black or white, for a stronger and better fitting wheel cover. The wheel covers are custom made to suit your tyre for a perfect fit, simply tell us your tyre code when ordering. 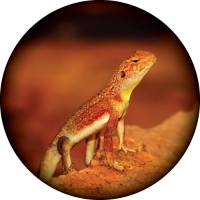 High quality image of a lizard bathing in the hot Australian sun. 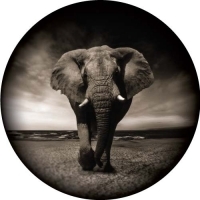 An awesome spare wheel cover design sure to catch the eye of followers. 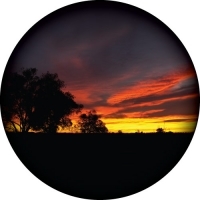 A beautiful image of a the rising sun in the Australian Outback. It's going to be hot today!! 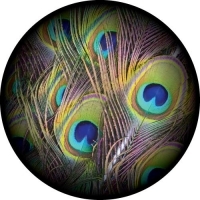 Brighten your day with an eye catching image of beautiful colourful peacock feathers printed in high quality on your cover. Need a Hard Spare Cover instead? Please contact us for more info on our hard spare wheel covers. A striking image of a perfect pink flower that covers your entire spare tyre. Beautiful for travellers behind you! Creepy Redback Spiders crawling over your spare wheel cover. Redbacks spiders have become an Aussie icon. 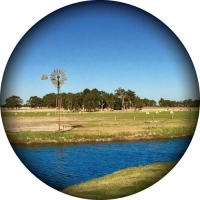 Full colour high quality photo of a picturesque, serene lake in the Margaret River region, Western Australia. Sure to keep onlookers calm on your travels! 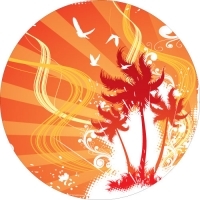 Our custom spare tyre covers are made from the highest quality vinyls and printed with long lasting UV resistant inks. Piping comes standard in either black or white, for a stronger and better fitting tyre cover. The wheel covers are custom made to suit your tyre for a perfect fit, simply tell us your tyre code when ordering. An awesome photo of a lighthouse set on a vivid blue evening sky. Sure to catch the eye of travellers and light the way on your journeys! Are you after a premium looking Hard Cover instead? Please contact us for more info on our hard case spare tyre covers. A Travelling Elephant to help you on your travels. Striking image of an elephant wandering along a desert highway. Sure to catch the eye of onlookers! 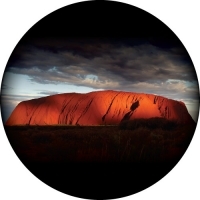 Awesome high quality photo of one of Australia's great icons printed on your spare wheel cover. Uluru, also known as Ayers Rock, is a large rock formation in the southern part of the Northern Territory in central Australia. Spare Tyre Cover - Sized to Suit! 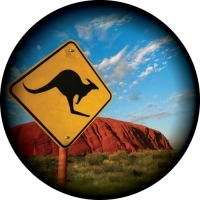 An iconic, high quality image of Uluru (Ayers Rock) with the now famous kangaroo sign. 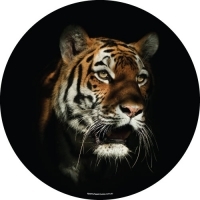 Our custom spare tyre covers are made from the highest quality vinyls and printed with long lasting UV resistant inks. Piping comes standard in either black or white, for a stronger and better fitting wheel cover. The wheel covers are custom made to suit your tyre for a perfect fit, simply tell us your tyre code when ordering. 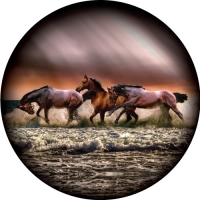 Spare Wheel Cover for the horse lover! 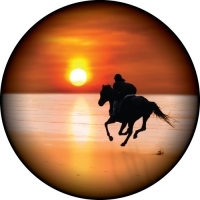 Awesome image of horses at a sunset beach. Vivid and strikingly attractive.